For the longest time the area in the very back of the yard was left untouched (about 1 yr). 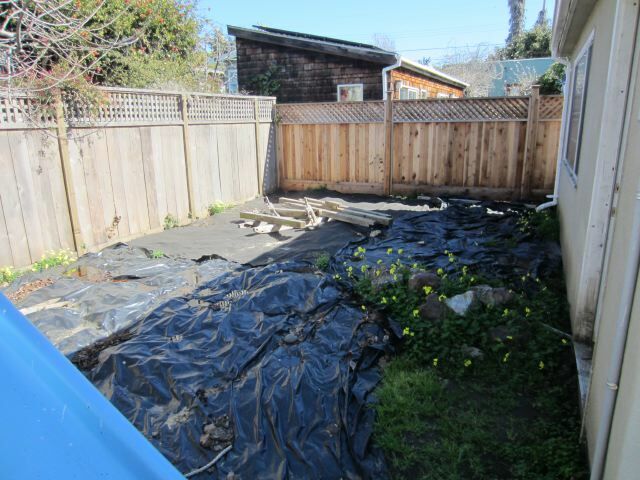 Chris covered it with plastic and weed barrier to keep the weeds and blackberries from taking over the area again. We decided to get an expert designer so that we would put some grass there as a place for the kids to play. We also had Tree surgeon Newcastle come out and plant a few trees. This describes the 3 week project of putting grass in the back are (about 400 sq ft).